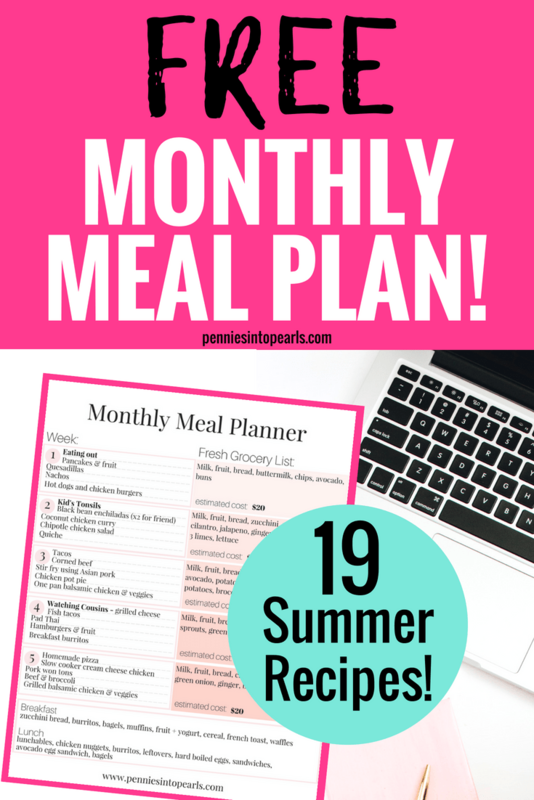 Summer is not the time to let your meal planning on a budget slip! All over social media I have seen mom’s biting their nails in horror thinking about feeding their family and sticking to a budget this summer! This post contains affiliate links. Thank you so much for supporting Pennies Into Pearls by using my links. It feels SO good! Maybe you noticed? There wasn’t a free meal plan or grocery haul up in January. That is because WE BOUGHT A HOUSE! I really prepared for this move (we were in escrow for three months so we had the time…) by budgeting to eat out occasionally and a freezer full of freezer dinners ready to be thrown in the oven! Trying to meal plan during the holidays can be extra challenging. Especially when you are looking for quick and easy recipes on a budget. How do you know how many meals to plan for when there are so many unexpected parties and get togethers? The last thing you want to do is plan meals and purchase groceries only to let them all go to waste because you ended up going to your friends house for a last minute Christmas game night. This post contains affiliate links. Thank you for supporting Pennies Into Pearls by using my links! When you are grocery shopping on a budget, navigating the grocery world can become redundant and boring. Mindlessly walking through the aisles, buying the same boring food that you did last time. That’s why I personally LOVE seeing what other families put on their meal plans and what products they choose when they shop at places like Costco. This month our goals in grocery shopping on a budget were to try our best to stay away from foods that were overly processed and stick with products that contained more natural ingredients. All while sticking to our monthly grocery shopping budget of $300. When life gets busy, the last thing on your mind is what you’re cooking for dinner! 5pm very rudely sneaks up on us moms! 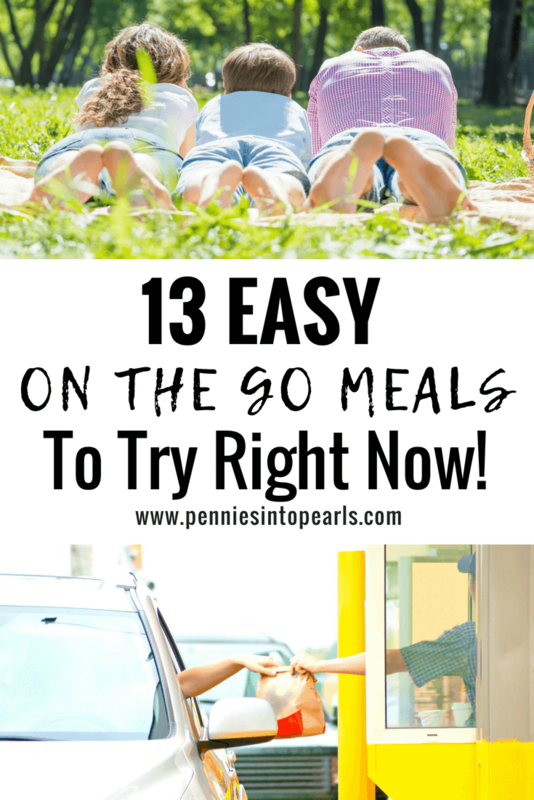 Which is why in this month’s meal plan I have rounded up 19 quick and easy dinner recipes on a budget! School is back in session! How do you feel about that? I’m the mom that feels completely torn, a mess of emotions! Happy to be back to a schedule. Happy for a few less hours a day of the kids bugging each other. But man! I do miss those guys when they are away all day! Dang! When it’s cookin’ outside there is no way I want to be cooking inside! Which is why in this month’s recipe roundup I am featuring as many easy grilling recipes as I can that can be cooked outside. The house we are currently renting (read about our journey to buying our first house here) has no AC, which leaves the inside temp usually hovering around 90 degrees. Hence, all the grilling recipes I have rounded up for you this month! Summer time is just as important as ever to get your meal plan in place. Making sure your meal plan has plenty of easy summer dinner recipes will set you up to allow flexibility in your schedule!